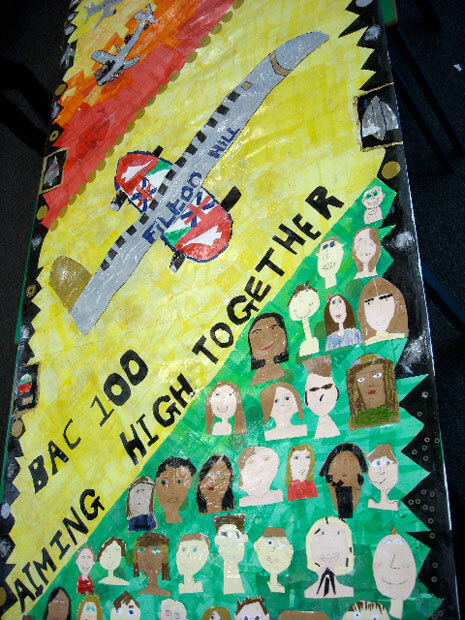 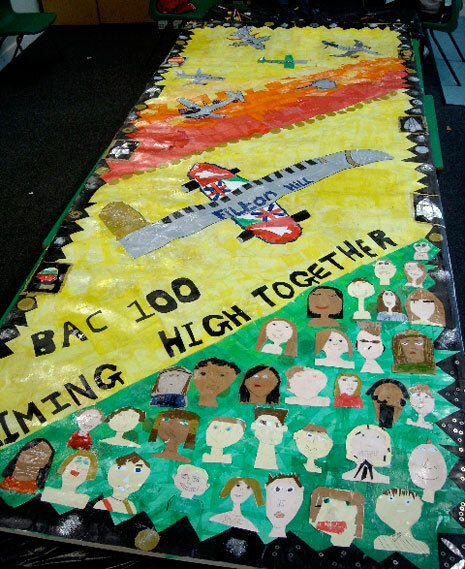 Filton Hill Primary is one of the six schools that have created large-scale collages for BAC 100. 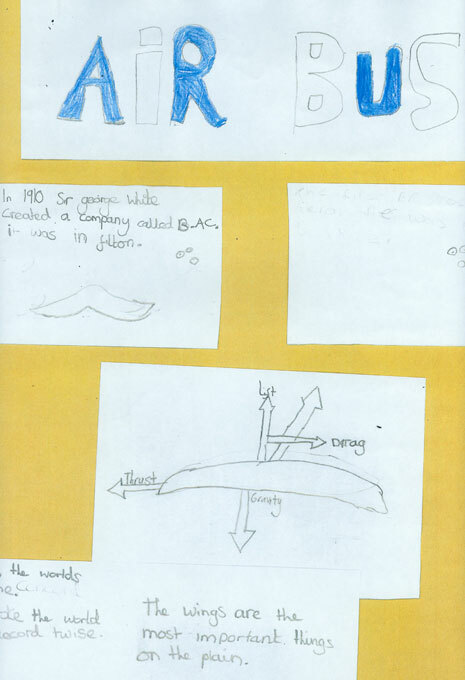 Here are photos of their work. 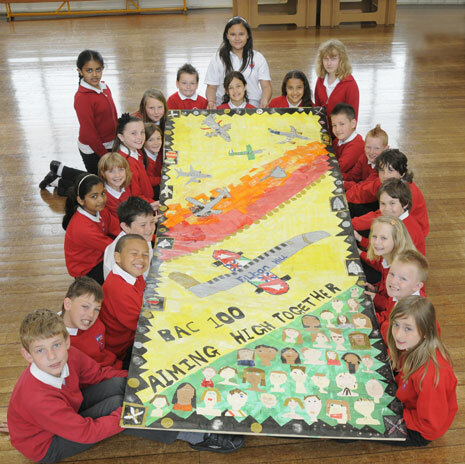 Here are the Year 5 pupils with their collage. 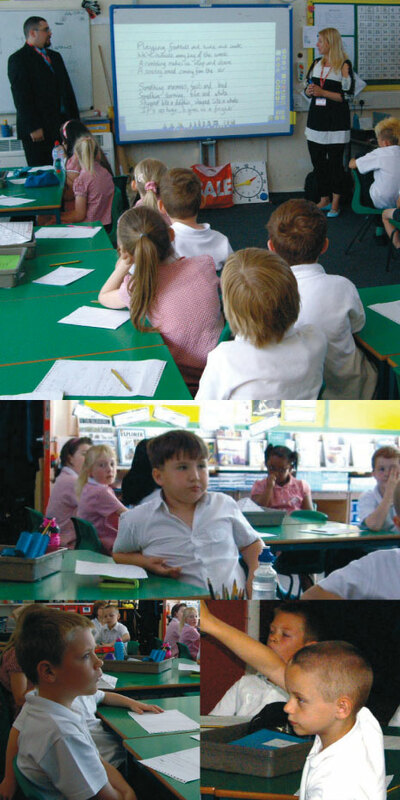 Year 3 pupils enjoyed a creative writing workshop on Monday 24 May as part of the schools' science week. 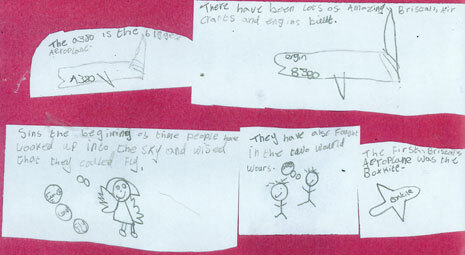 They created a group poem about the Airbus Beluga aircraft that sometimes fly over the school. 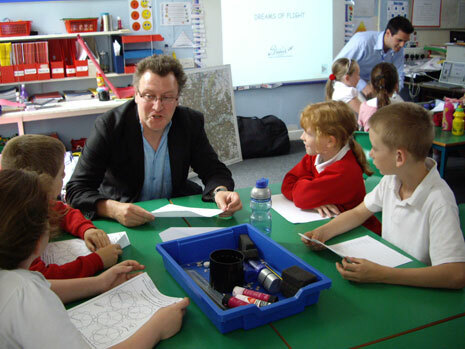 You can hear an extract from their poem here and see some photos from the workshop when the pupils were suggesting lines, rhymes and words to include. 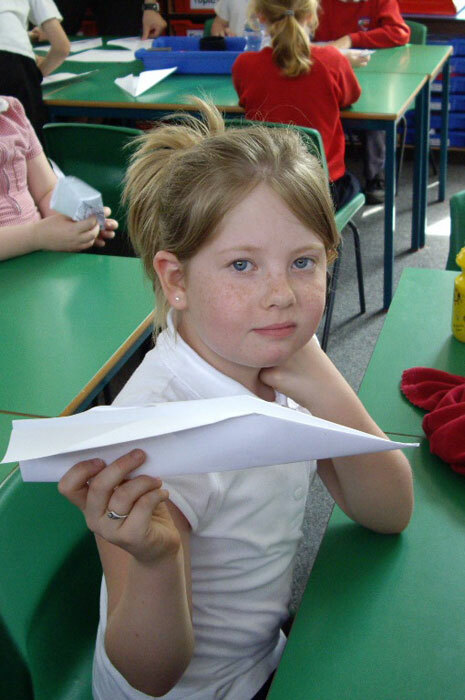 We're so lucky to see one arrive. 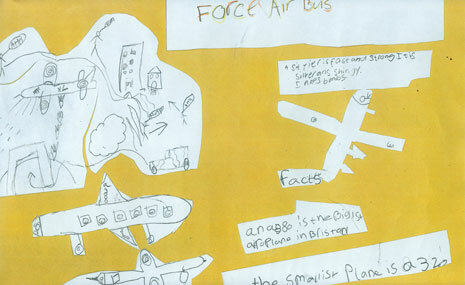 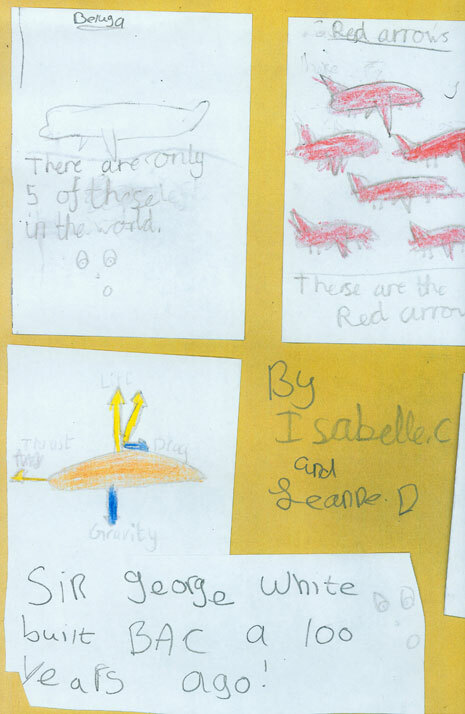 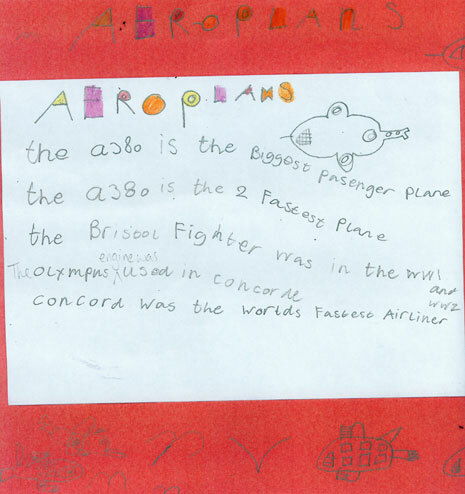 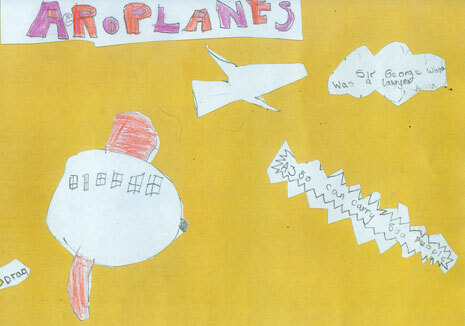 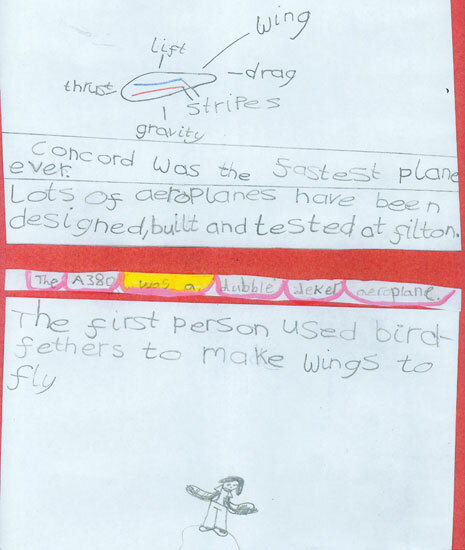 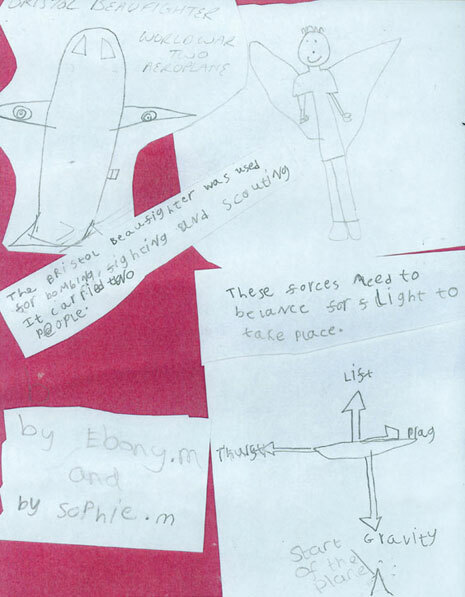 The pupils also created information posters about what they had learnt about local aviation. 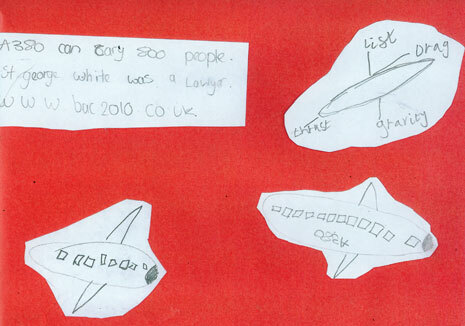 You can see details from their pictures here. 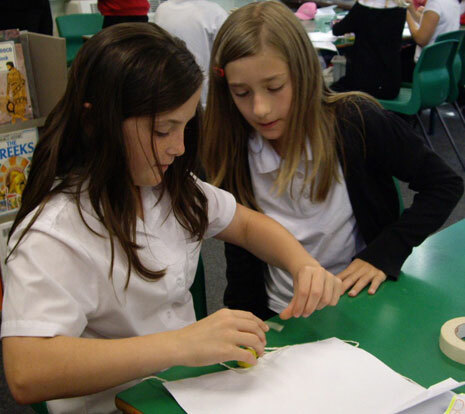 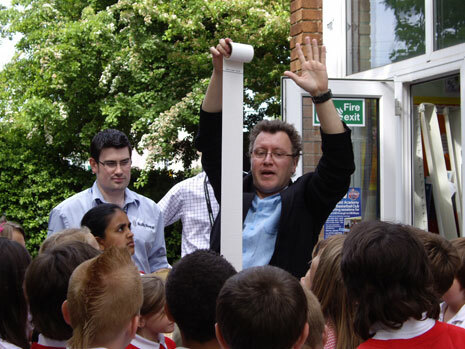 These Year 5 pupils were taking part in a science workshop on 26 May 2010. 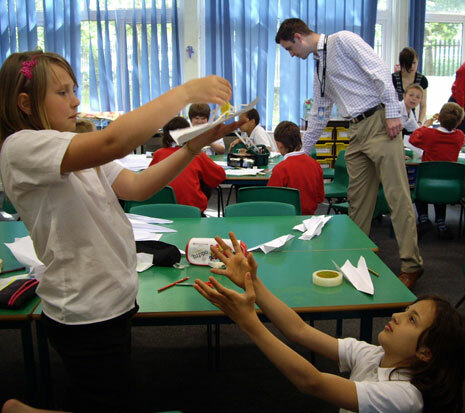 They are learning about the height of space and making parachutes. 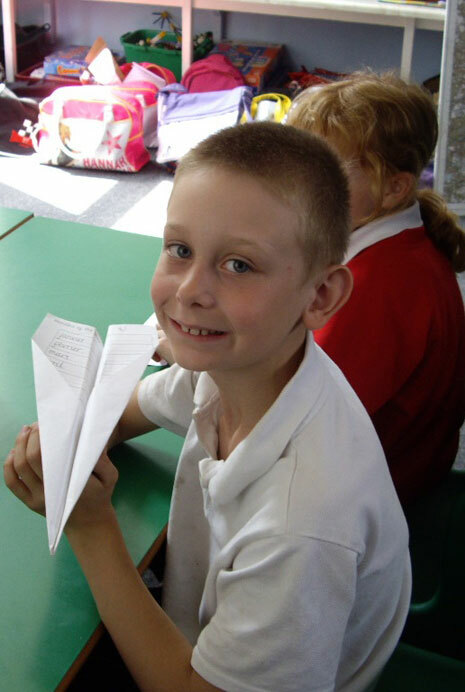 Here are photos of Year 4's science workshop, which took place later that same day. 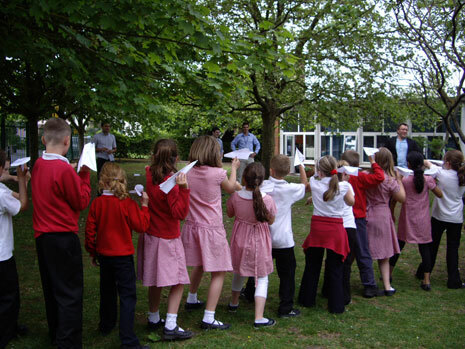 They are making and testing paper aeroplanes. 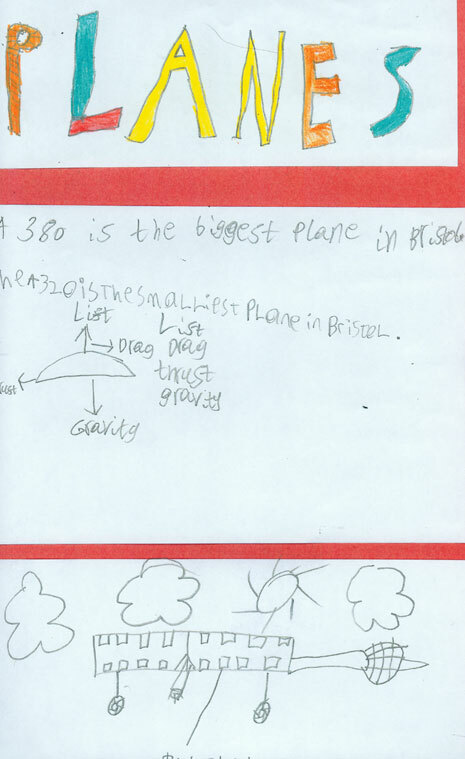 Year 6 visited the Flight exhibition on 21 September, travelling by open-top bus, thanks to City Sightseeing Bristol. 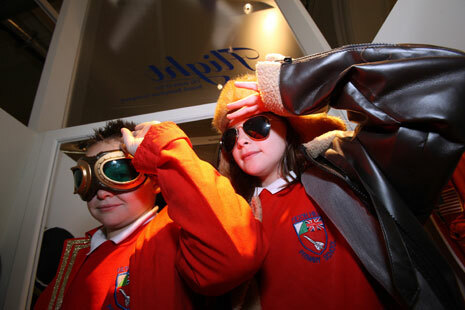 Two of the pupils were photographed by the exhibition designers, Ignition, for their publicity material. 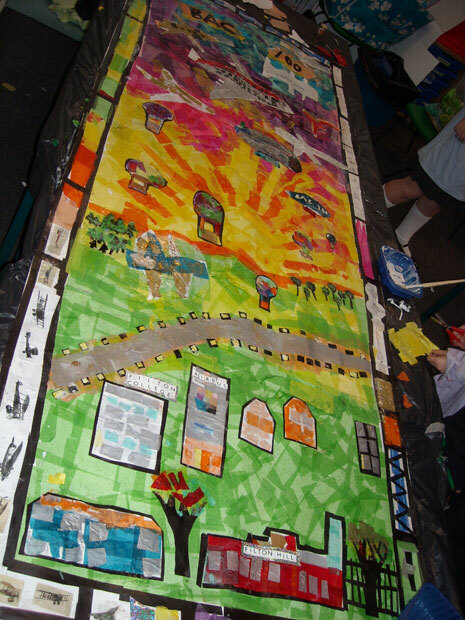 Year 4 had a two-day collage-making workshop with Gloria Ojulari Sule on 30 September and 1 October.